Where to play home poker games in NYC? Friendly group of guys that like to play cards daily. Great action, comfortable playing area, complimentary snacks and drinks. Our Poker game is the heart of Manhattan with lots of poker actions. New Member? Signup Now Or text (or call) to 347.471.1813 with name and email. -Professional dealer. Manager on Duty. Waitress. -Mon — Fri at 4pm. Sat — Sun at 2pm. 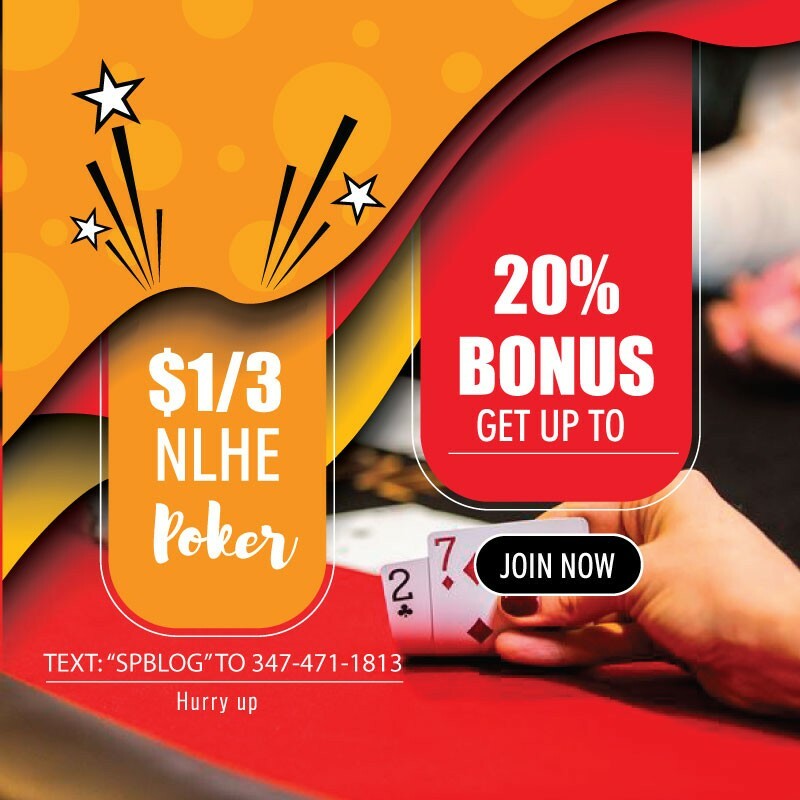 -10% up to $30 early bird bonus for weekends. -New Players. Must be brand new. -Refer a Friend. Existing members who refer friends. -Bonus Requirements: Minimum 3 hours session. -$75 early bird bonus with other exclusive bonus available . If you have any questions, or interested in finding out more about joining with us or would like to RSVP please text (or call) to 347.471.1813 with name and email. 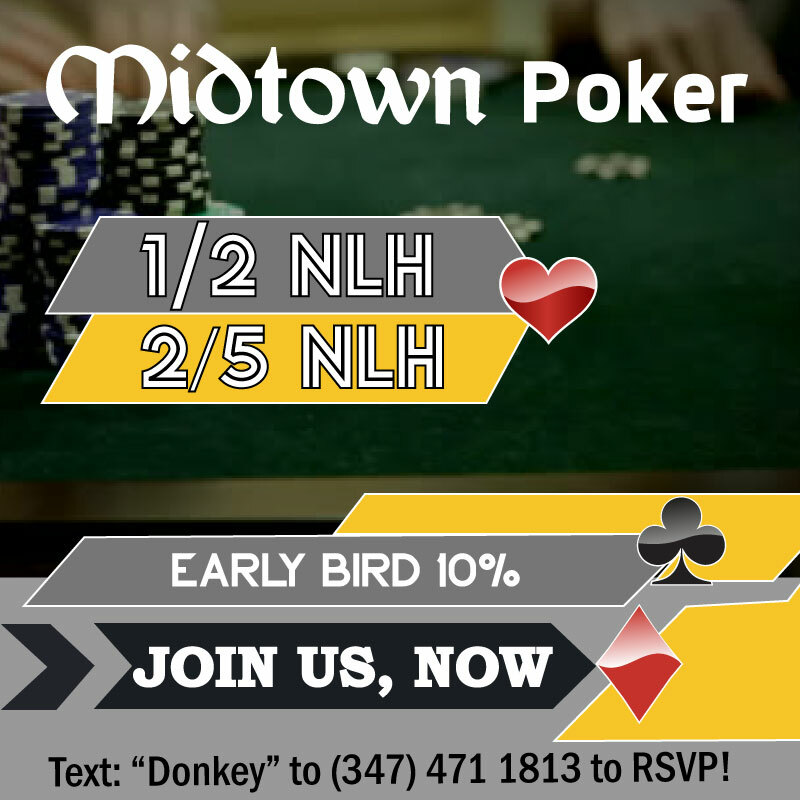 Poker Action: 2/5 nlhe in Midtown, Manhattan.